Rowan Blanchard spills about her new role in A Wrinkle in Time. 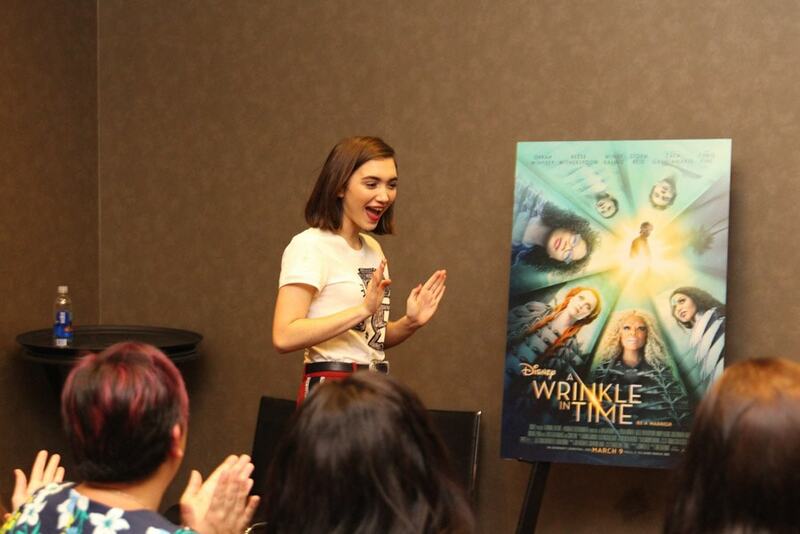 Rowan Blanchard plays Veronica Kiley in Disney’s A Wrinkle In Time movie. This character isn’t in the book, so we get to meet her for the first time on screen. Rowan recently shared her thoughts about this character – including how she is much more than just a school bully to Meg. Veronica is not a huge role but is so important for the message of this film. You may remember Rowan Blanchard as Riley Matthews on Girl Meets World. This young girl is a proponent of shine theory and positivity, so her role as a bully in Disney’s A Wrinkle in Time was very different for her. She said she worked with Ava Duvernay to learn the depths of Veronica Kiley. Rowan: I felt like I was doing it in this way where it wouldn’t be minimized to just a very stereotypical mean girl role. I really trusted Ava to make a character that felt complex and more than just a mean girl. I think there’s a lot of layers to Veronica that we get to see throughout the film. I think there’s a lot of different parts to her that you sort of see as the film unfolds where she’s more than just the bad girl or the mean girl, which was a relief. Because Veronica Kiley is not a character in the book, Rowan said her character adds a new side to Meg we hadn’t seen in the classic story. Rowan: She was added into the script to add an element of friendship for Meg coming from another girl because in the book, that’s not really there. It’s very much about Meg and her dad and Meg and this boy and Meg and her brother. So, I think it was really important to Ava and to Jennifer [Lee, Screenwriter] to have a girl character that Meg could have in her life and that they could kind of learn from each other. As a bully, there are so many more depths than just a shallow, flat, mean person. 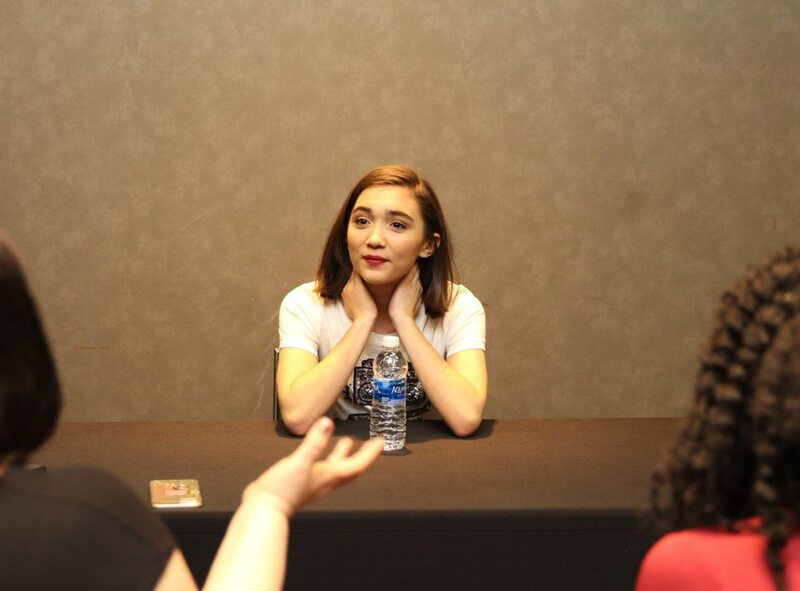 Rowan said she enjoyed working with Ava to delve into the different layers of Veronica Kiley, learning about what hurt her so badly that she felt like hurting Meg. 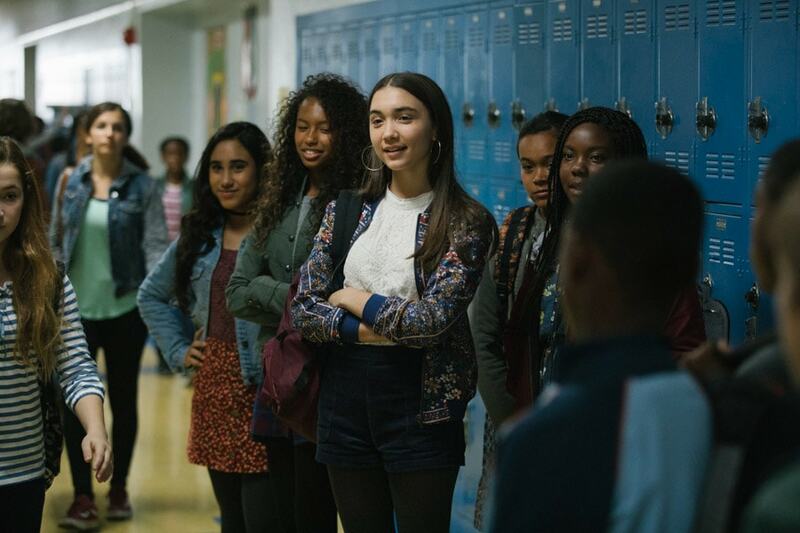 Rowan: It definitely made me aware of how the bully is always the person who’s hurting so deeply inside, which is such a stereotypical thing to say but very true. And I think we see that in one scene with Veronica, the layers of her body insecurities and all of these things that are very, very real, that teenage girls sort of access every day. Even as young and accomplished as she is, Rowan has to give herself permission daily to be a warrior. Just like so many young girls her age, she feels insecurities and sometimes feels like she doesn’t deserve all the success she has earned. Rowan: I have to give myself permission to be a warrior daily. It’s not a very conscious thing where I feel totally empowered and fearless every day. There are some areas that I feel more confident than others. I have to be like, I deserve to be here and I’m here, a part of something bigger than myself. There’s just so many moments daily where I have to remind myself that it’s okay that I am in the room. 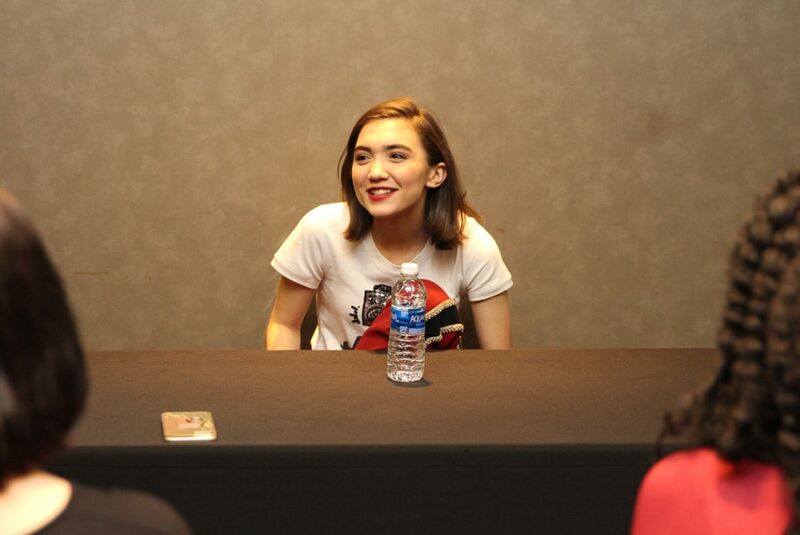 Did you know Rowan Blanchard is an author? 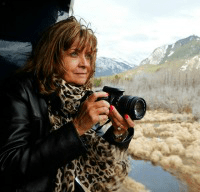 She dished about her new book that just came out – Still Here. Rowan: I made this book called ‘Still Here’ that just came out about a week and a half ago. It was just really important to me to have these concrete forms of how I view art, which I think is a lot more accessible than how we think of art in a museum or how we think of art as a big painting. I was always inspired by my friends who kept diaries and whose thoughts were so pure and unfiltered. And being a teenager and specifically being a teenage girl – it’s just this point where your thoughts are not as informed with the outside world yet and you’re still processing so much yourself that your writing is more unfiltered. So, I had I think 20 other contributors that helped me compile this thing that is about teenage survival. It’s cool that it’s sort of coming out during the time that this is. It feels like it’s a really cool time to be a teenager. It’s also a scary time. There’s a lot of feelings. 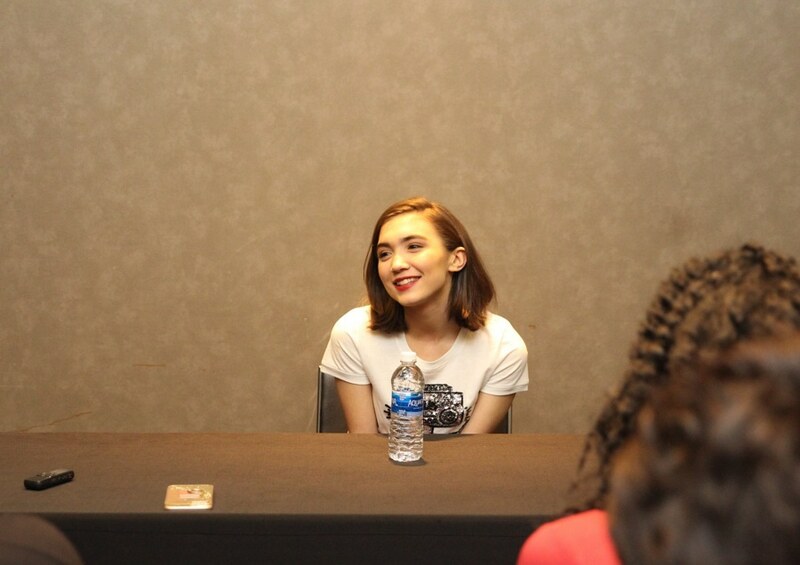 Rowan said her dreams literally came true when she worked with Ava Duvernay. She has always admired her as an inspirational director and incredible person. She had the chance to shadow with Ava and learn a little bit about directing, which she hopes to do someday. Rowan: Her magnitude as a person is so overwhelming. And just the idea that this woman has worked so hard and still remembers everybody’s name. I looked to her as so much more than just an inspirational director. She’s just like this incredible person that I’m so grateful to have in my life in so many ways. 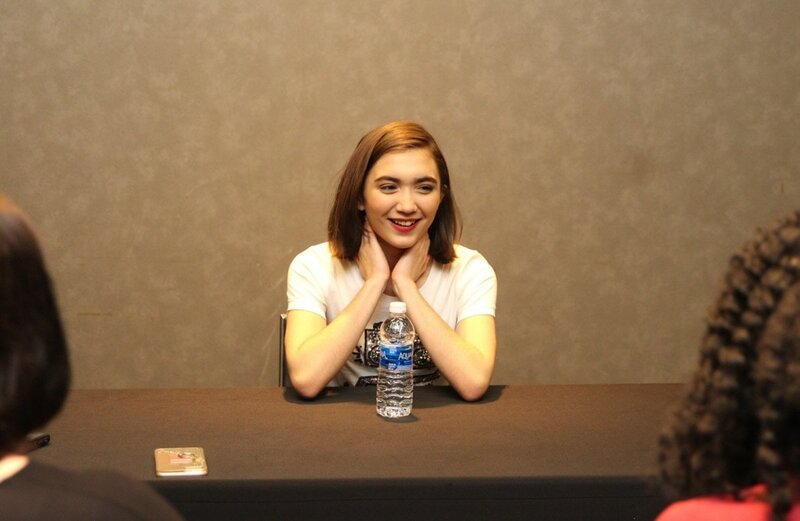 Even as young as Rowan Blanchard is, when she shadowed Ava she saw a huge discrepancy between how male directors are treated and how females are expected to act. She said it was very eye-opening. Rowan: I grew up sort of watching directors. It’s so normal [for male directors] to scream at people or to use your voice in ways that are very aggressive in order to get what you want. And it’s always sort of inspiring and interesting for me to watch how women directors have to occupy the space that’s been left for them to get the attention and to get the take that they want without being as aggressive because you can’t. You’ll be called a diva or you’ll be called very hard to work with. So, I don’t know, it’s just been very cool to watch how women occupy that space. It’s also very cool that this young girl has such an impressive handle on work ethics already. I believe Rowan Blanchard is well on her way to super-stardom. She was amazing as Veronica Kiley in A Wrinkle in Time. It won’t be long before we see Rowan directing her own films. I’m so glad she’s such a positive role model for young girls. She has a beautiful heart and a wonderful view of life. Rowan took a minute between all her interviews and got a photo with us. 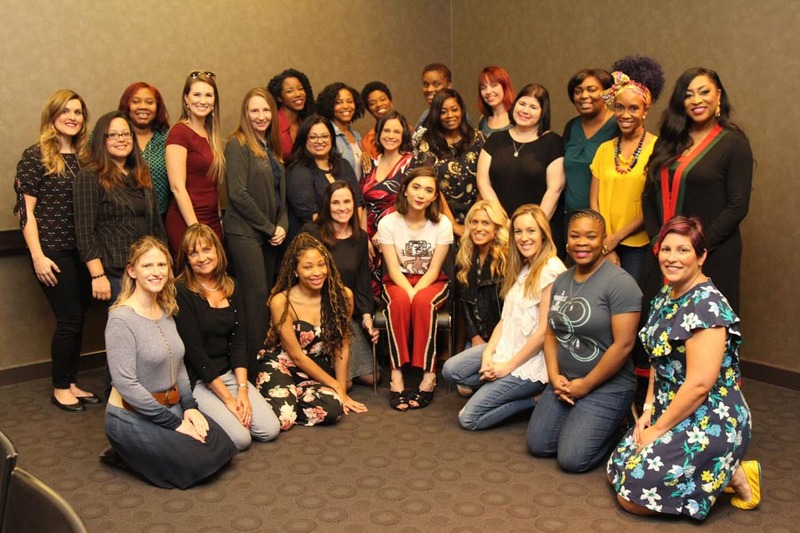 See my interview with Oprah, Reese & Mindy who are the Mrs., Storm Reid who plays Meg, Gugu Mbatha-Raw who plays Dr. Kate Murry, and check out my interview with Jennifer Lee, Screenwriter (and director of Frozen!) as well as Ava DuVernay, Director.